Lipsticks are my beauty weakness so for the past week I decided to keep a lipstick diary to show you what I've been wearing. 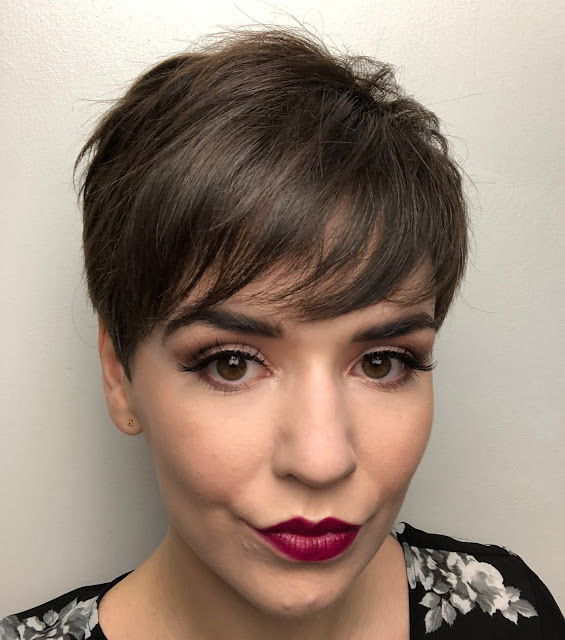 I have recently got back into the Kat Don D Everlasting Liquid Lipsticks (£17, collection post) and needed a bright shade to get my week started so I opted for Mother. It's a bright, blue toned pink and quite different to my usual day time choices. I don't use lipliners with these liquid lipsticks as I find the applicator easy to work with and they don't bleed at all. 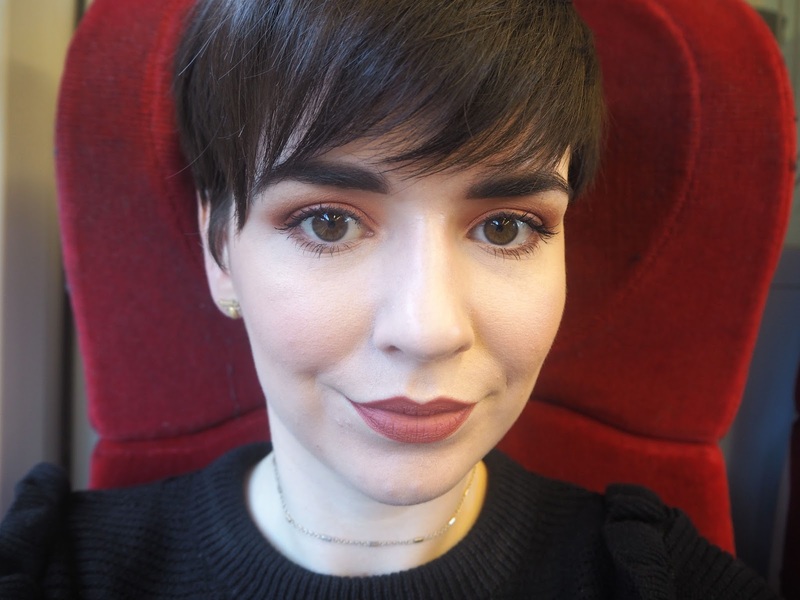 Sticking with the Kat Von D Everlasting Liquid Lipstick theme I opted for Plath (£17). It's a gorgeous, deep, burnt red toned brown which is so vampy. I actually got this back in Autumn but kind of stashed it and forgot I had it (that's so bad I know!) so I've been making a point of using it. When I wear darker lips during the day I tend to have a very simple eye look as I want the focus to be on the lips. I found that this shade did need a little more reapplication than the other shades I own but I think thats because its so dark that when it starts to fade its more noticeable. I had a make up free day but had to put on some lip balm as my lips have been so chapped lately. 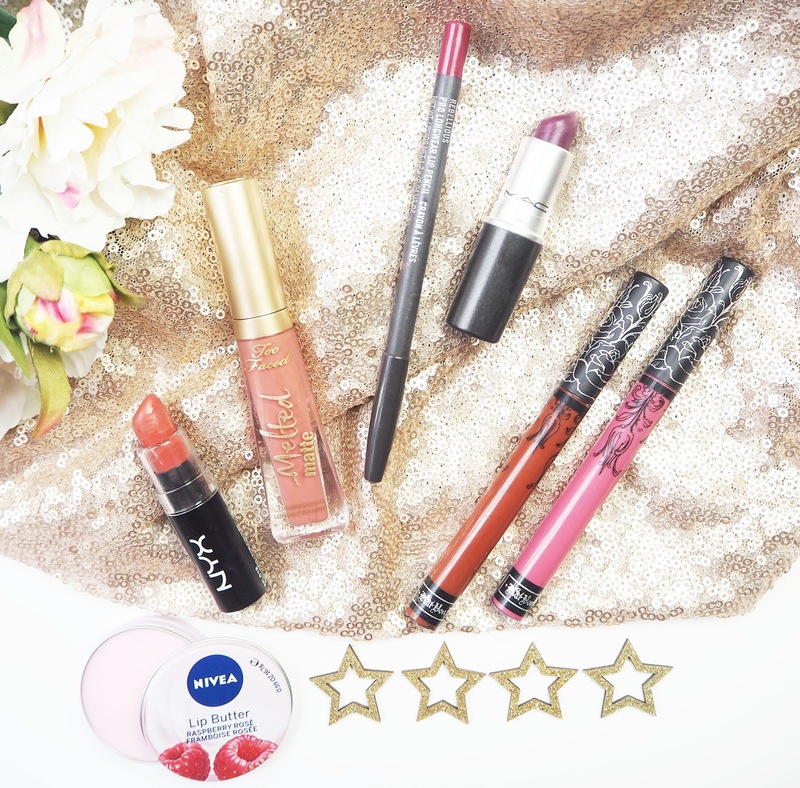 The Nivea Lip Butter in Raspberry Rose (£2.09) is one of my all time favourites and I recently got a new one. It has an amazing sweet, raspberry scent and the formula is nice and thick so you can feel it nourishing your lips. I tend to reapply this a lot because I love the smell so much! I love the insane formula of the Too Faced Melted Matte Lipsticks and I need to expand my collection. They apply well, are opaque, comfortable to wear and last a long time. The shade Sell Out (£19) is a gorgeous pink with a brown hint in there. I regularly wear a orange toned lippie, think a 'rust' type shade and I'm all over it. 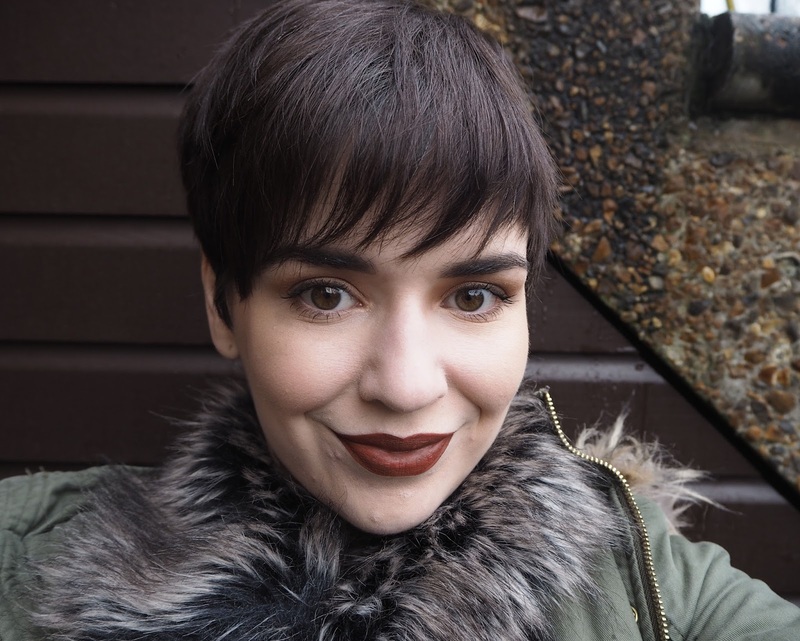 The Nyx Matte Lipstick in Sierra (£7) ticks that box, the warm tone of it is beautiful. I wouldn't say these lipsticks are totally matte, not that I mind as they don't dry my lips out at all. During the day I wore Plath again because, like I said, I'm trying to make a point of using it more often. 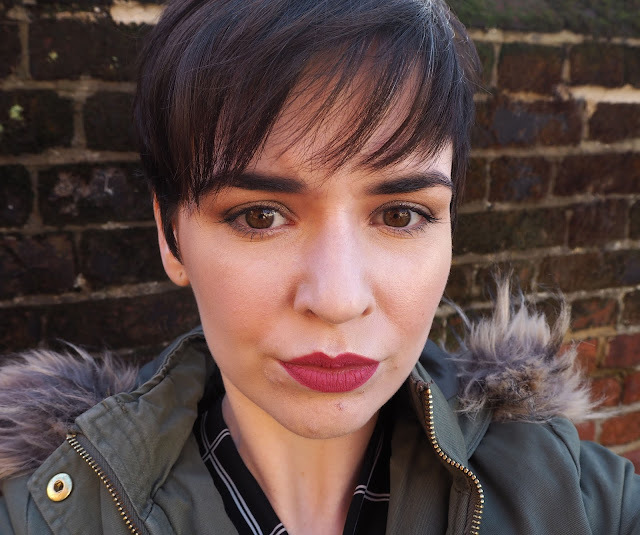 In the evening I went to a party so I opted for the Mac Pro Longwear Lip Pencil in Rebellious (£15.50) which is a stunning berry shade, the formula of these pencils in also spot on- really creamy and long wearing- the only issue is that they're a bugger to sharpen. 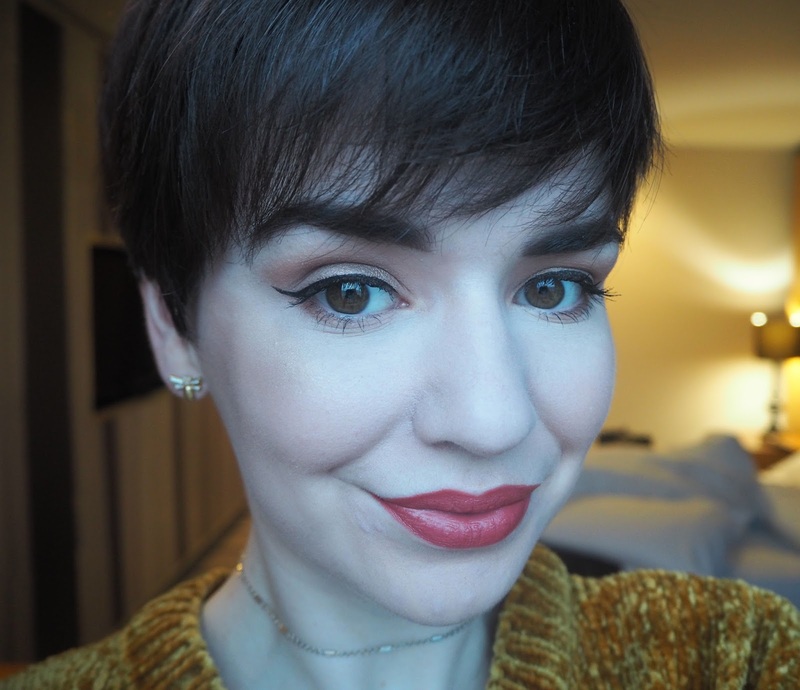 Over top of the lip liner I applied Mac Rebel (£16.50) which pairs with it perfectly. I had another make up free day and was too lazy to even apply a lip balm during the day! What lipsticks did you opt for in the past week?